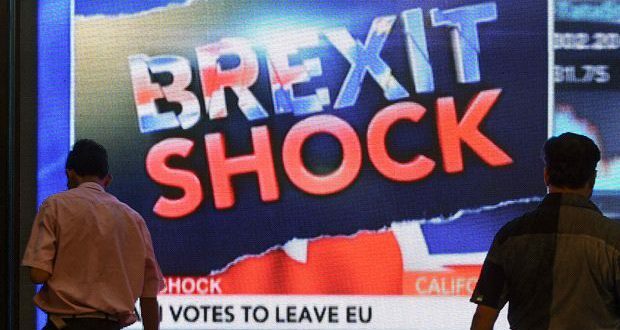 The 52% vote in favour of Brexit is historic and has already had profound political and economic ramifications. Since the morning of the result David Cameron has announced his resignation as Prime Minister, the value of Sterling and stock market prices have plummeted drastically, the likelihood of a second referendum on Scottish independence has increased dramatically and moves are afoot by the Blairites in the Parliamentary Labour Party to remove Jeremy Corbyn as leader. The decision is a major blow to the capitalist class in Britain, their political representatives and the media who lined up to support the “Remain” campaign. 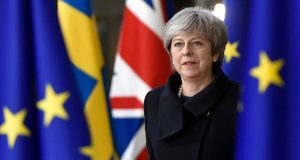 It is also a blow to the capitalist classes in Europe and further afield; the European Union, the IMF, NATO, Barack Obama and financial institutions such as Goldman Sachs were all adamantly opposed to the UK leaving the EU. Events of the last six years have exposed the deeply undemocratic, anti-worker, racist and regressive nature of the EU. The unelected European Commission and the European Central Bank (ECB), as two central components of the Troika, have brutally foisted a diet of austerity on the working classes of Greece, Portugal, Spain and Ireland, including programmes that have slashed and privatised public services. One infamous incident that illustrates plainly the pro-banker and anti-democratic nature of the EU, was the ECB President Jean Claude Trichet’s phone call to Finance Minister Michael Noonan before a Dáil debate in March 2011, telling him that “a financial bomb would go off” if any attempt was made to burn bondholders. Various EU Treaties have undermined workers’ rights and written the pro-banker and corporate policies of neo-liberalism into law. They have placed severe constraints on government expenditure on public services and investment. This is in large part the reason why all of the main parties in the South at the last election, including Sinn Féin, argued that only an additional €8-10 billion could be spent in the lifetime of this Dáil. Of course this is far short of what is required to tackle the mounting housing crisis, for example, or to even begin to reverse the devastating austerity measures of the last eight years, through public investment. The Socialist Party stands for movements of the working class in Ireland and across Europe to bring Left governments to power; that refuse to abide by these rules drawn up in the interests of the bankers and corporations. Such governments would implement policies based on human need not profit. This means public investment in services and infrastructure, taxing big business and the super-rich and implementing socialist policies that take key industries and banks out of the hands of the 1% and into democratic public ownership. The EU’s racist and oppressive policies known as “Fortress Europe”, have denied poor and vulnerable refugees fleeing wars (created by imperialist intervention in the Middle East and North Africa), poverty and oppression, the right to asylum and sanctuary on the continent. Blocked from entering Europe legally and safely, they have been forced to make the treacherous journey across the Mediterranean Sea in overcrowded lifeboats that have resulted in the deaths of thousands. In 2016 alone, an estimated 2,861 people have needlessly perished in the Mediterranean. Médicines Sans Frontieres (the NGO, Doctors Without Borders) have rejected all funding from the EU in protest against its despicable deal with the authoritarian Erdogan regime in Turkey, that will see refugees who arrive in Europe deported to Turkey, where they are likely to remain in what are effectively open prison camps. The EU is run in the interest of Europe’s bosses and bankers. This has been the case since its inception as the Common Market in the period following the Second World War. It was for this reason, and those outlined above, that the Socialist Party in Britain and in the North supported a “Leave” vote in last Thursday’s referendum. We reject an institution that has shown itself to be the enemy of the 99%. We stand for unity of the working class across the borders of Europe against this club of the 1%. We argued for Labour leader Jeremy Corbyn to stick by his own views of the EU and use his enormous authority to make the case for a “Lexit”, an exit from the EU on a left basis. He could have explained how his enormously popular policies that resulted in him being elected as Labour leader last Summer, such as the nationalisation of the rail and steel industries (where jobs are currently being shed), are incompatible with EU membership because of its various pro-big business directives. Leading a Leave campaign on an internationalist basis, promoting workers’ unity and opposing racism and division, could have seen Corbyn winning over those sections of young people – repulsed by the “Little Englander” racism of Nigel Farage and his ilk – who voted to remain. Such a campaign would have explained the capitalist nature of the EU and how it is not the force for progress that many genuinely believe it is. Their positive global outlook could have been channelled into a campaign that argued for a Europe run in the interests in the millions, not the millionaires; free from racism, austerity and oppression. In failing to do this, Corbyn allowed the official campaign to be dominated by UKIP and the Euro-sceptic wing of the Tories, who shamelessly and disgustingly stirred up racist prejudices in the course of the campaign. Of course it should be noted that many sections of the Remain campaign, including David Cameron, are also complicit in stoking a dangerous fire of xenophobic sentiments in British society. The Socialist Party will be to the fore in opposing the coup being mounted by the Blairite MPs against Jeremy Corbyn. Linked with this we have argued that he should call for an immediate general election to kick out the hated Tory government. He should stand on anti-capitalist programme, that challenges the logic of a system that breeds austerity, poverty and division, and in doing so he could give an alternative for workers and young people to the racist, right-populism of UKIP. 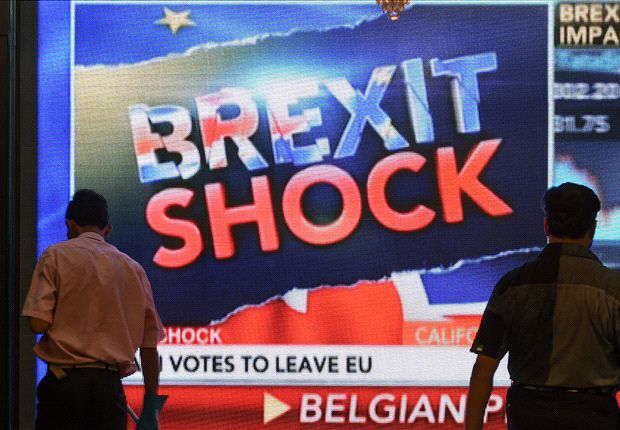 Why was there a Brexit vote? The key factor in bringing about the vote for Brexit was the enormous inchoate anger on the part of working class people, and many middle class people, against austerity, bank bailouts, attacks on workers’ rights and the de-industrialisation that has affected many areas, including much of the North of England, in the last number of decades. It was a revolt against the establishment in the form of the current Tory government, the CBI (the British equivalent of IBEC), the bankers of the City of London, the Blairites of the Labour Party and large sections of the media who backed a Remain vote. In the immediate hours after the referendum, many capitalist commentators who were in favour of Remain were forced to belatedly acknowledge this. Clearly immigration was an important factor in propelling many to vote for Brexit. According to one survey by Lord Ashcroft, a third of those polled cited this issue as their primary reason for doing so. This, along with the reactionary nature of the official Leave campaign, has led some on the Left to conclude that the outcome of the referendum was anti-immigrant and racist in nature and ultimately reactionary in character. There is a fundamental assumption being made here, that all of those who voted in favour of Leave and had concerns over immigration are simply racist. Undoubtedly there are many working class people with backward racist views and attitudes, who have been swayed by the vicious propaganda of far-right forces in Britain. But this false generalisation fails to recognise that there are many others who are not racist, whose concerns come from the fact that vulnerable migrant workers have been used by the bosses in Britain to undercut wages and conditions. This “race to the bottom”, combined with the policies of austerity, have fueled a discontent in areas that have undergone decades of economic decline as a result of the malaise of British capitalism. The neo-liberal policies of successive Tory and New Labour governments, of cuts and privatisations, have resulted in a real strain on public services, with little investment in council housing or facilities. And the increase in the population of deprived working class communities, as a result of immigration, has only added to this strain. This is not an argument to restrict immigration. The Left and workers’ movement must take a principled stand against racism and in defending the right of migrants in Britain. This means opposing racist immigration controls and laws; and defending the right of migrants to stay and the right to asylum. Any attempts by far-right forces to organise and attack migrants must be strenuously resisted. However if UKIP and the racist right are to be defeated, their suppport base must be eroded, which means that the real concerns over the effects of immigration, that many workers in Britain have, must be addressed by the Left. This means challenging mistaken views about immigration held by those influenced by the right-wing press and crucially calling for a united struggle for jobs with decent wages and conditions for all workers, regardless of their nationality. It means arguing for policies based on investment for need not profit. A recent report from Oxfam found that the richest 1% in Britain have increased their fortunes by an obscene £1 trillion since the turn of this century. This wealth needs to be taken out of their hands and productively invested in wealth producing industries and services, as opposed to being gambled on the markets. Austerity’s destruction can be reversed and a plan can be devised for properly funding decent public services and council homes that can provide for the needs everyone in society. The absence of a strong left alternative that can argue for such a programme in Britain and Europe has worked to the advantage of right-wing populist forces, as illustrated recently by the Presidential campaign in Austria, where the candidate of the far-right Freedom Party came within a whisker of being elected. Here in Ireland, there will be attempts to stir up racism in the wake of the Brexit vote. This was already shown by the shameful comments made by Michael Healy Rae, who cynically warned that the vote would lead to an increase in immigration to Ireland from other European countries, and would in turn aggravate the housing crisis and depress wages. Similarly, it was thoroughly hypocritical for Micheál Martin to talk of the racist nature of the Brexit vote in a Dáil debate, given that Fianna Fáil TD, Eamon Scanlon, recently put down a question in that very same chamber asking how many Muslims have applied to come to Ireland. The Anti-Austerity Alliance and the Socialist Party will fight any attempts to incite racism against migrants in Ireland. Sinn Féin in the North campaigned for a Remain vote in the referendum, despite having opposed Ireland’s entry into the then EEC (forerunner of the EU) in 1973 and opposing a variety of EU Treaties in referendums in the South since. During the course of the debate they were largely uncritical of the EU project and have basically argued that it can be reformed in our interests, despite the evidence to the contrary, which the experience of Syriza in Greece – whose considerable, but futile efforts to do just that – demonstrated all too well. This is yet another example of Sinn Féin’s further rightward shift and accommodation to the capitalist establishment. The result of the referendum has resulted in them calling for a “border poll” on whether or not there should be a united Ireland. Their justification for doing so is that the majority of people in the North voted to remain in the EU. However, this ignores the fact the Remain vote only won by a relatively small majority (56-44%) and that turnout in Catholic areas was low, less than 50% of electorate voted in Sinn Féin’s historic heartland of West Belfast, for example, illustrating a lack of enthusiasm for supporting the EU project. The Socialist Party has always argued for the right of Catholic working class people not to live in a state where they have suffered systematic discrimination and repression. We also recognise that the Protestant working class have a legitimate fear of becoming part of a southern Irish capitalist state, in which they feel they would be a discriminated against minority. We oppose the coercion of either side into accepting the status quo, or a capitalist united Ireland. A 50%-plus-one referendum based on a sectarian headcount will only help fuel division amongst Protestant and Catholic working class people, and amounts to coercion by formal “democratic” means. The partition of this island by British imperialism almost 100 years ago, created two capitalist sectarian states, both of which must be dismantled if there is to be a just and democratic solution to the national question in Ireland. Only through the unity of working class people in the struggle for socialist change can such a solution can be found. This means fighting for a socialist Ireland, where the rights of all minorities are guaranteed as part of a voluntary, democratic and socialist confederation of Ireland, Scotland, England and Wales, and the rest of Europe. A proposal for a border poll will not help the necessary breaking down of sectarian divisions between working class people in the North, rather it can only help to deepen them. This is why it must be rejected. 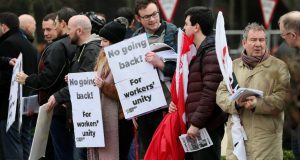 The bosses in Ireland will attempt to go on the offensive against the pay and conditions of workers in an attempt to make Irish exports more “competitive”, in the context of Sterling devaluing against the Euro. In short it is workers in Ireland, both public and private sector, who will be hit by the economic fallout of Brexit. Already the ESRI have talked of wage cuts taking place of between 4-5% for up to 60,000 workers. There have also been reports that the government may seek to attack to pay of public sector workers. Not for the first time our living standards are to be sacrificed as a result of the anarchy of the market system. The trade union movement must resist any potential onslaught on the rights of workers by the bosses in this country. We paid the price for their last crisis and we have seen precious little of their much vaunted recovery. The Luas drivers have shown that decisive industrial action can defeat the race to the bottom in pay and conditions. This example should be followed. It was James Connolly who wrote that “the day has passed for patching up the capitalist system; it must go”. Over 100 years on, we cannot mend a system that is based on economic crisis, inequality, racism and austerity. Nor can we hope to reform and make good an institution such as the EU that embodies the most ruthless aspects of that system. In short, both must go. We need to build new parties of the 99% in Europe that can inspire the working class, young people and the most downtrodden with the vision of a truly democratic and socialist society. A society that is organised for need not profit, where decisions are made democratically, where solidarity replaces division and there is full equality for all. Join the Socialist Party and help us make that message a living force in the struggle to change society.